I teach / coach to help my students and players become better people, someone who understands that small acts of kindness can change a person's life and the power of being significant to other's can make the world a better place. Bachelors: Springfield College, Springfield Mass. Coach Costello is a relocated New Yorker who came to Virginia with his wife JoAnne and four children twenty one years ago and after thirty two years of kids living in his house, he and his wife are finally "empty nesters". 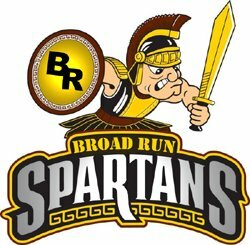 Coach Costello has been teaching and coaching at Broad Run for the past twenty years. All of his children have graduated from Broad Run. His oldest son, John, graduated from the University of Maryland and married his Farmwell Station Middle School sweetheart, Natalie Wilson on September 10th, 2005. He is living and owns his own Real Estate company in Charlotte, North Carolina and is the proud father of two beautiful girl's. His oldest daughter, Jennifer, a former Loudoun County Elementary P.E. Teacher also lives in Charlotte and loves being a housewife and mother of a gorgeous little girl named Everly. Youngest son Joseph, who after graduating from B.R. pursued his passion for music by attending The Music Institute in Hollywood California. Since graduation Joe is a drummer for several bands in L.A. and is loving life! His youngest daughter Shannon, graduated Broad Run 5 year's ago and is now a Senior at The University Of South Carolina and upon graduation in May she will be also movng to Charlotte. Coach Costello is the Head Coach for Boy's Basketball and Sponsor for (FCA) Fellowship of Christian Athletes. He has a Bachelor of Science degree in Physical Education from Springfield College in Springfield Massachusetts.